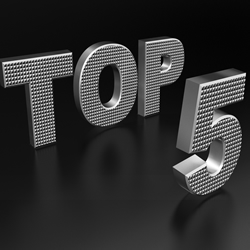 BestHostingSearch.NET today announced the top 5 VPS hosting providers in 2015. The list is designed for Linux users who want affordable virtual servers with abundant resources and a high level of control. The leading web hosting review site BestHostingSearch.NET today announced the top 5 VPS hosting providers in 2015, including InMotion, BlueHost, HostMonster, HostGator and iPage. All of the providers have been tested and monitored by an expert team for more than half a year. The 5 web hosts offer Linux VPS only, dedicated to building affordable and quality managed virtual servers for bloggers, web developers, small businesses and growing businesses. InMotion has been devoted to offering flexible, reliable and scalable VPS with large amounts of RAM, disk space and bandwidth. At present, there are 3 VPS plans available, all of which are discounted 50% for new customers paying through this exclusive promotional link. The entry-level plan, VPS-1000S, is priced from $14.99/mo now, coming with 4 GB RAM, 60 GB disk storage, 2 TB monthly data transfer and 2 dedicated IPs. cPanel, WHM and Softaculous script installer are also included. All of InMotion virtual servers are equipped with SSDs which run several times faster than traditional hard disks. Besides, a custom firewall is applied to increase server security. For any dissatisfaction, customers can ask for a full refund within the first 90 days. BlueHost virtual servers feature instant provisioning, enhanced cPanel, advanced virtualization technology and guaranteed server resources. With a cost of $14.99/mo, Linux users are able to obtain a virtual server with 2 CPU cores, 2 GB RAM, 30 GB SAN storage, 1 TB bandwidth, 1 domain and 1 IP. Additional storage can be added dynamically. HostMonster virtual servers are built on cloud technologies to guarantee enough room for growth. All users have root access to their server running CentOS 6.5, and they can manage multiple hosting accounts within a single interface. The cost starts from $14.99/mo. HostGator provides 1 semi-managed VPS hosting plan and 4 managed plans. All the plans are discounted 40% now, and the price for a virtual server is as low as $11.97/mo. Besides, each plan includes a website builder, weekly off-site backups, full root access, IPTables Firewall, and 2 IPs. The highlights of iPage VPS include the mirrored SAN storage, cPanel, optional root access, instant provisioning, money-back guarantee, marketing credits, and fully managed technical support. The support team is reachable 24 hours a day, 7 days a week through live chat, phone and email. For more information about the top 5 VPS hosting providers, visit https://besthostingsearch.net/best-vps-hosting/. BestHostingSearch.NET is a leading web hosting review site with 9 years' experience in helping webmasters find the most suitable hosting solution. With a focus on unbiased reviews, the site also deals with coupons, comparisons and website tutorials.